Acts 10:1-2. 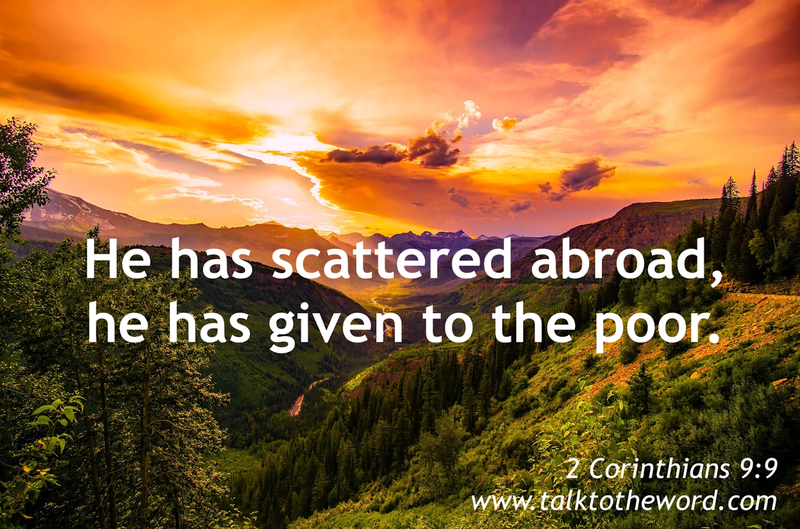 Now there was a certain man in Caesarea, Cornelius by name, a centurion of what was called the Italian Regiment, a devout man, and one who feared God with all his house, who gave gifts for the needy generously to the people, and always prayed to God. 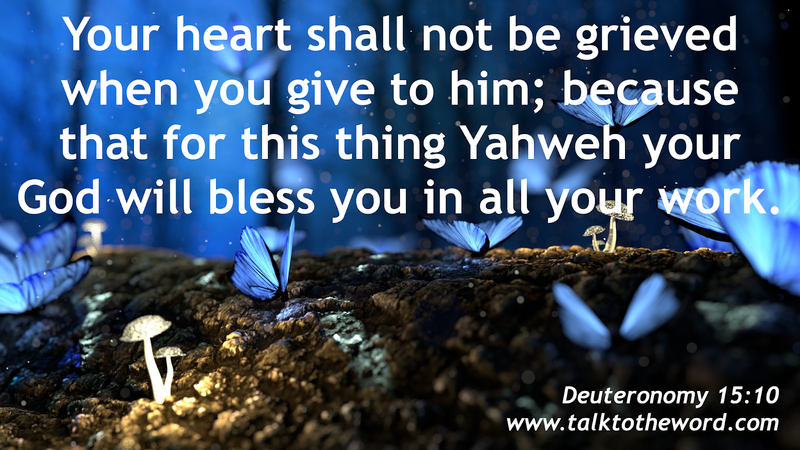 Deuteronomy 15:10. 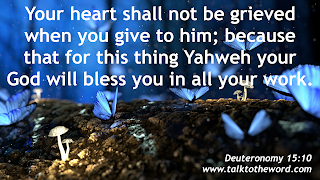 You shall surely give, and your heart shall not be grieved when you give to him; because that for this thing Yahweh your God will bless you in all your work, and in all that you put your hand to. 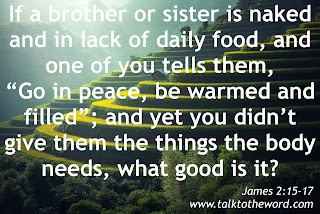 James 2:15-17. 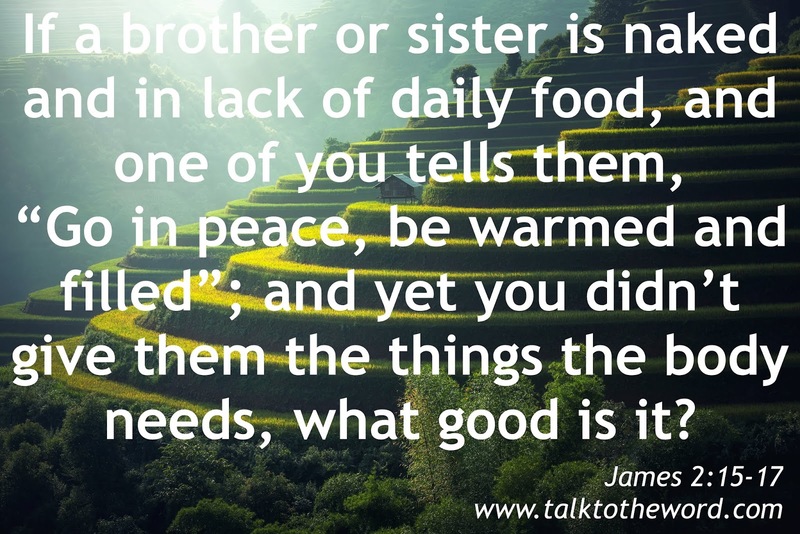 If a brother or sister is naked and in lack of daily food, and one of you tells them, “Go in peace, be warmed and filled”; and yet you didn’t give them the things the body needs, what good is it? Even so faith, if it has no works, is dead in itself. 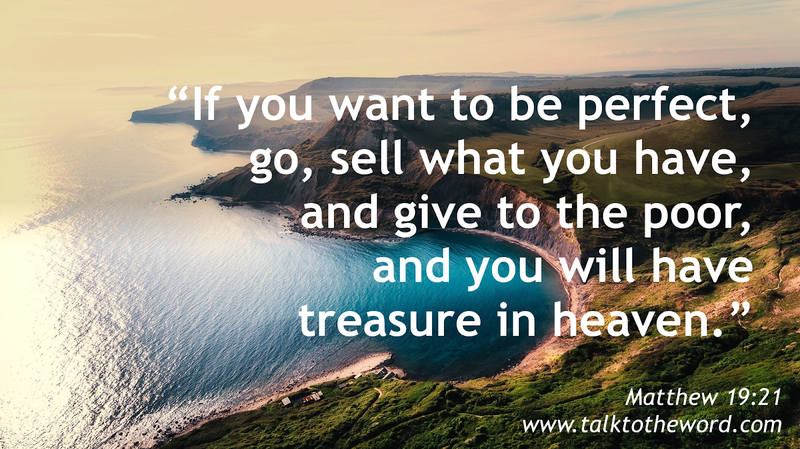 Luke 12:32-33. 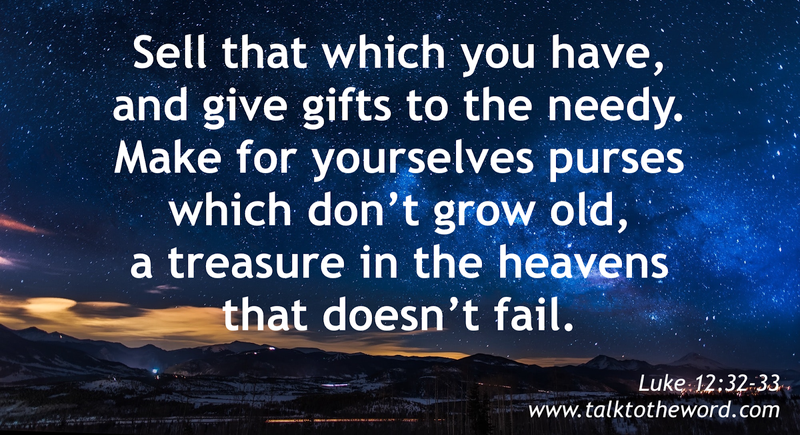 Don’t be afraid, little flock, for it is your Father’s good pleasure to give you the Kingdom. 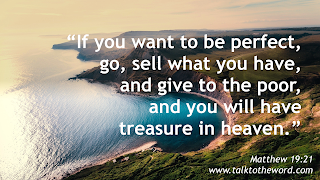 Sell that which you have, and give gifts to the needy. 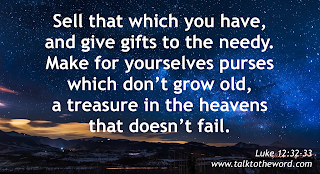 Make for yourselves purses which don’t grow old, a treasure in the heavens that doesn’t fail, where no thief approaches, neither moth destroys. 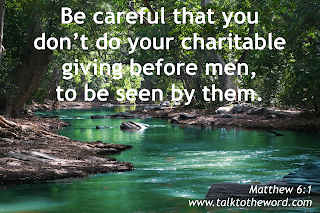 Matthew 6:1. 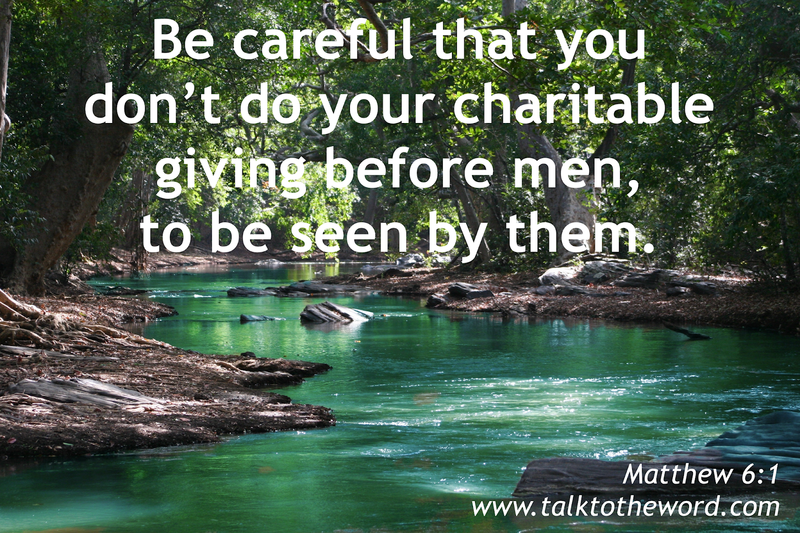 Be careful that you don’t do your charitable giving before men, to be seen by them, or else you have no reward from your Father who is in heaven. 1 John 3:17-18. Whoever has the world’s goods, and sees his brother in need, and closes his heart of compassion against him, how does the love of God remain in him? My little children, let’s not love in word only, or with the tongue only, but in deed and truth. 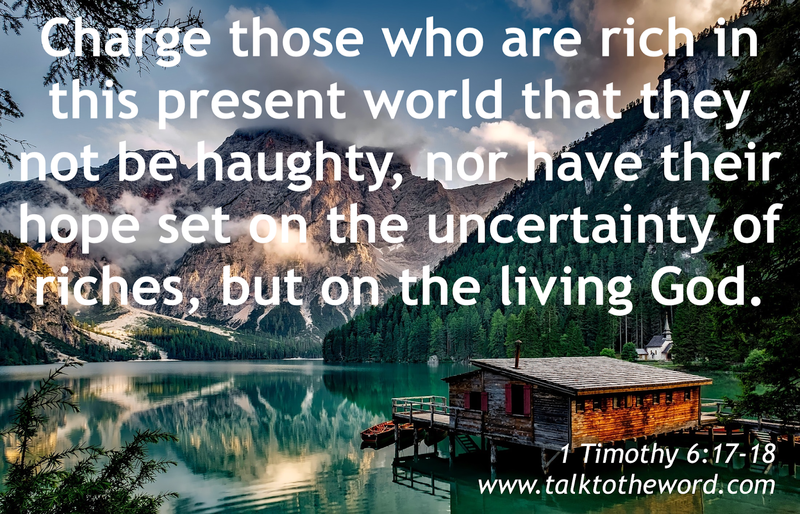 1 Timothy 6:17-18. 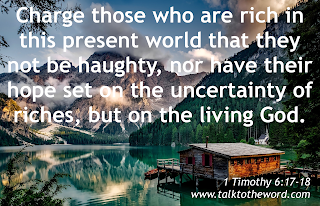 Charge those who are rich in this present world that they not be haughty, nor have their hope set on the uncertainty of riches, but on the living God, who richly provides us with everything to enjoy; that they do good, that they be rich in good works, that they be ready to distribute. 2 Corinthians 9:9. He has scattered abroad, he has given to the poor.